The first volume in a set of two which gives the first-time student of Japanese a solid grounding in all four language skills - listening, speaking, reading and writing - through 23 lessons. 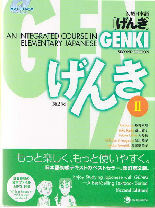 Packed with easy-to-understand grammar explanations, a variety of exercises full of illustrations, and scenes taken from everyday life, the lessons will have you enjoying those often tedious beginning stages and will enable you to acquire a well-balanced communication ability in elementary Japanese. The second volume in a set of two which gives the first-time student of Japanese a solid grounding in all four language skills - listening, speaking, reading and writing - through 23 lessons. 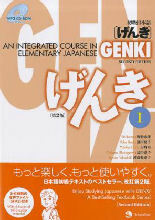 Packed with easy-to-understand grammar explanations, a variety of exercises full of illustrations, and scenes taken from everyday life, the lessons will have you enjoying those often tedious beginning stages and will enable you to acquire a well-balanced communication ability in elementary Japanese. 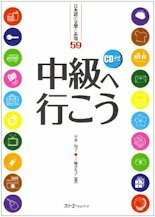 The first volume in a set of two which teaches you the first 500 Basic Kanji that you need to learn. This book is a great accompaniment to any text as it focuses solely on teaching you Kanji and related vocabulary. The book functions as both a learning manual and a workbook, and the Kanji are split into 22 chapters so you can learn a set at a time. Each chapter contains both reading and writing exercises to ensure that you get plenty of practice as you learn the Kanji. 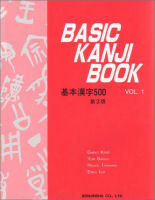 The second volume in a set of two which teaches you the first 500 Basic Kanji that you need to learn. This book is a great accompaniment to any text as it focuses solely on teaching you Kanji and related vocabulary. The book functions as both a learning manual and a workbook, and the Kanji are split into 22 chapters so you can learn a set at a time. Each chapter contains both reading and writing exercises to ensure that you get plenty of practice as you learn the Kanji. 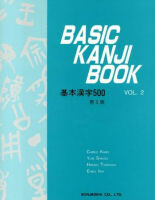 The first volume in the second series which teaches you just over 1000 Kanji, which is approximately equivalent to what is required for JLPT N2. 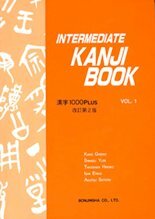 The text contains a wealth of information and a variety of exercises designed to give you a thorough knowledge of the intermediate level Kanji. The final volume in the second series which teaches you just over 1000 Kanji, which is approximately equivalent to what is required for JLPT N2. 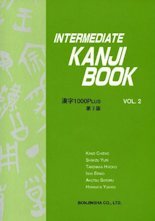 The text contains a wealth of information and a variety of exercises designed to give you a thorough knowledge of the intermediate level Kanji. This book focuses on providing a smooth transition for students who have completed an elementary Japanese course and are progressing to intermediate Japanese, and is suitable for students who have completed JLPT N4.